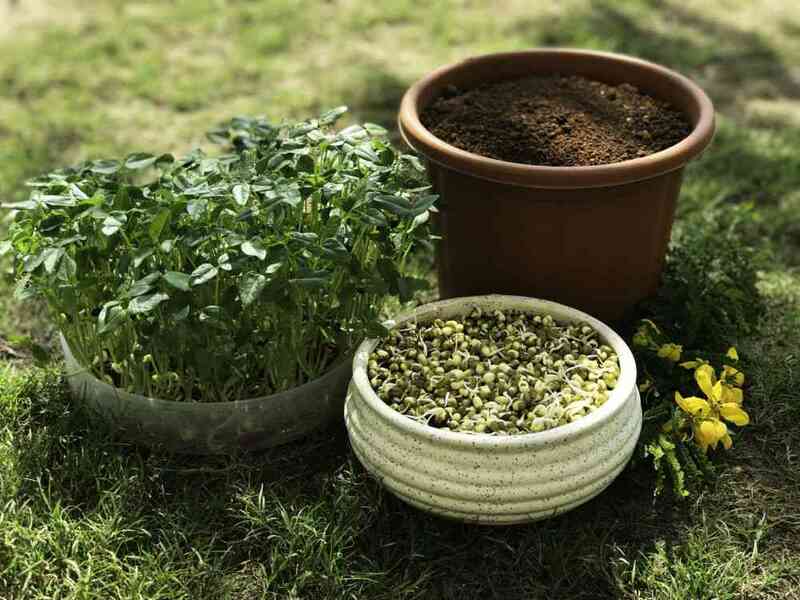 Greens such as pahari dals, fenugreek, radish and sunflower seed can be grown easily at home. Seasonal weather changes were always a difficult time for Vandena Bal’s two children. They would inevitably get colds, fevers or stomach upsets and though the stressed mother tried building their immunity with a variety of vitamin supplements, nothing worked. Finally, around three years ago, Bal, who lives in Delhi-NCR, turned to wheatgrass. Her children helped her grow the microgreen, which is known for its high nutritional value, at home. The stalks were harvested daily and converted into wheatgrass juice in a cold-press juicer. Today, their seasonal ailments are happily a thing of the past. Bal is one of several Indian mothers who are discovering the value of microgreens and making them part of their children’s diets. Apart from making the plate look appetising, these shoots are loaded with antioxidants and phytonutrients making them nutritionally beneficial. The fact that they can be easily grown at home, with children being part of the process, adds to their appeal. 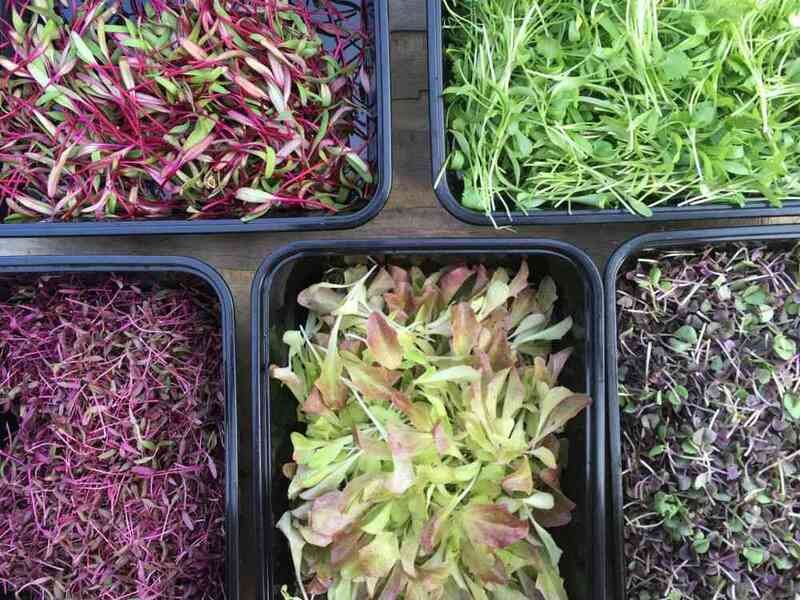 Microgreens first became fashionable as a garnish in nouvelle cuisine in the West in the 1980s, and were known as vegetable confetti as they provide a delectable freshness to soups and salads. Microgreen soil mix (top), mung dal sproutings (bottom right) and grown-up microgreens (bottom left) ready to consume. Photo credit: Vandena Bal. Microgreens are different from sprouts like mung because unlike sprouts, their seed is not used. They are usually made up of the cotyledonous leaves (rudimentary leaves in seeds) and a couple of true leaves. Sometimes, up to four to eight leaves in a slightly older plant remain very tender and can be used. Sprouts develop as a result of being soaked in water, whereas microgreens usually require a potting mix with a high concentration of a porous material such as cocopeat or fine sand. Microgreens also have a longer growth cycle (between one and three weeks), depending on the gestation of the seed in the soil mix. After germination, the exposure to sunlight starts the photosynthesis process, which gives microgreens their rich green colour, unlike sprouts, which are pale.The sunlight also makes them healthier than sprouts, which can be prone to bacterial and fungal damage. It is possible to get inventive with microgreens. I do a microgreen spinach and bathua with pomegranate raita, which is quite a favourite at parties. Even an ordinary egg sandwich can be given a gourmet touch when spiked with mustard greens. Microgreens can be sprinkled on pizzas, stuffed into pitas, and look vivid in the translucent rice paper rolls made popular by the Vietnamese. Wheatgrass is just one of the several popular microgreens that are being used by Indian mothers today. 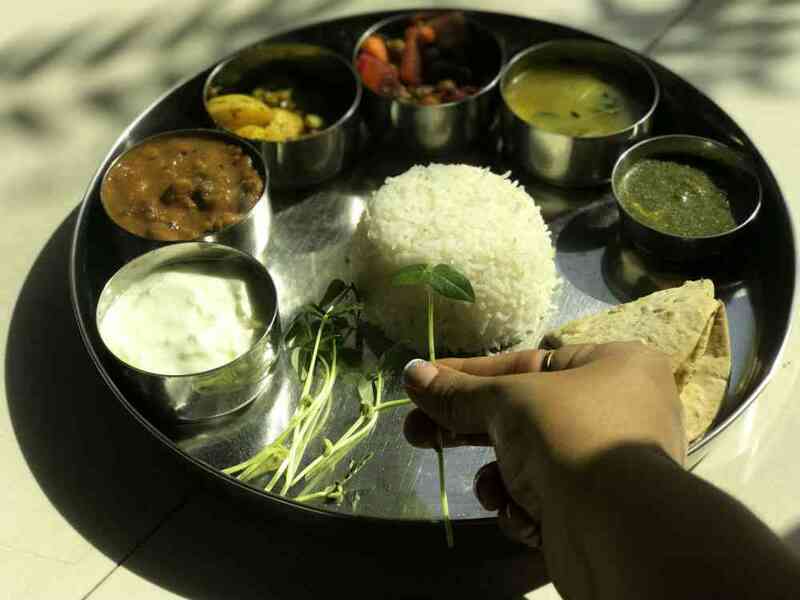 Bal uses greens grown from pahari dals, such as Uttarakhand’s naurangi, which is especially high in folates, as well as Bengal gram, fenugreek and mustard. It has been scientifically proven that these greens have many times more vital nutrients than the mature plant. A mix of microgreens. Photo credit: Achintya Anand. Microgreens such as wheatgrass regenerate and can be harvested twice, so the best way to grow them is in shallow pots with staggered planting. Single harvest seeds can be grown using soilless sprouting pads that are easily available online. Bal places these pads in bowls and uses them to grow microgreens such as Bengal gram and fenugreek. Her family often casually nibbles on the greens that have replaced flowers in her vases at home. 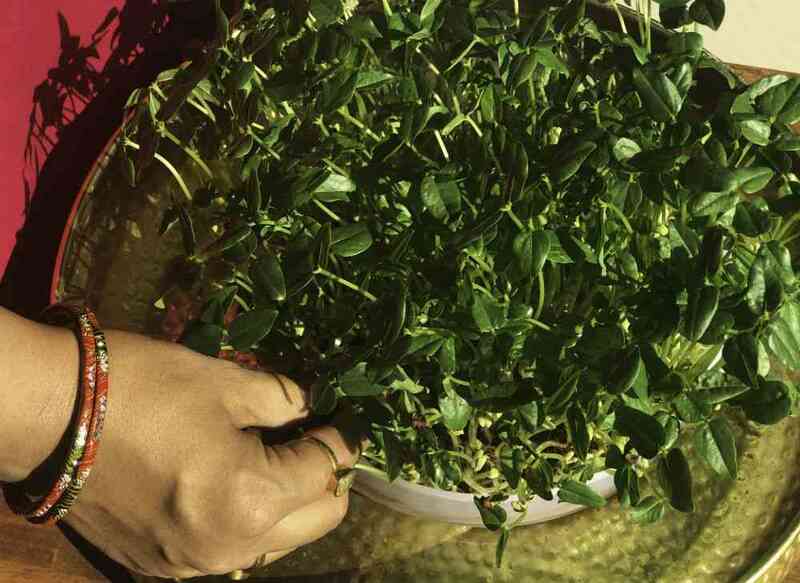 It’s not only Indian mothers who are making microgreens part of their kitchens. There has been a growing demand for these shoots and tendrils from several fine-dining establishments in cities such as Delhi and Bengaluru. 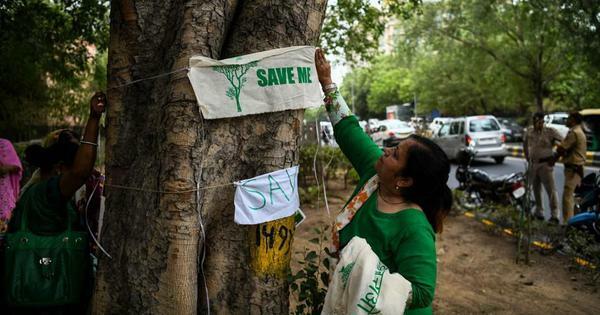 To cater to this, a few intrepid new-age farmers in both cities are growing microgreens, offering same-day delivery as the harvest in order to maximise preservation of vital nutrients. Delivery in live boxes increases their shelf life to four days. Thaal with microgreens as a side salad. Photo credit: Vandena Bal. Achintya Anand, an internationally trained chef, worked in several Michelin-starred restaurants in the US before moving back to India in 2014. He initially felt disadvantaged as many of the ingredients that he was used to cook with were not available in India. So, he began to experiment by making products such as basil probiotics and spiced sausages on his own. Microgreens from naurangi dal. Photo credit: Vandena Bal. The food we eat is undoubtedly changing in urban centres – I attended a big fat Punjabi wedding in September, where the bride was vegan. Hordes of bemused guests, expecting their butter chicken and mutton biryani, drifted from table to table in disbelief. Tofu satay and harabhara kebabs were followed by Indonesian jelly trifles with agar agar and soymilk. There were no flower decorations in the dining space, and tables were adorned with pots of microgreens. I grow microgreens in my back garden in the National Capital Region from October to March. I grow them in narrow beds in the ground and am sharing a few tips. Harvesting microgreens. Photo credit: Achintya Anand. 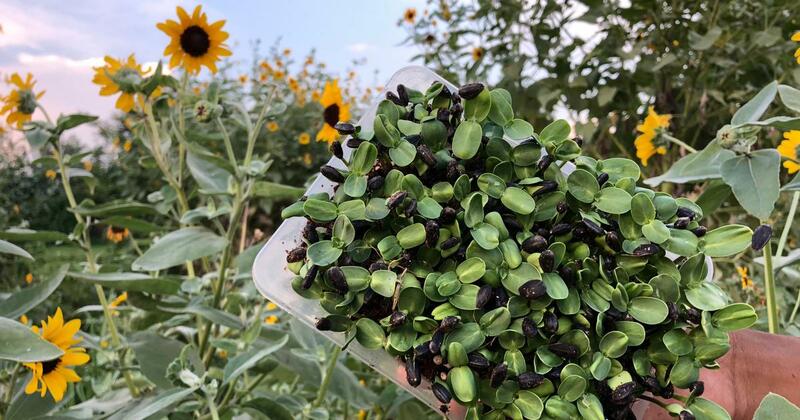 Select your seeds – those with a thick casing, such as gram or sunflower, need a night’s pre-soaking in water prior to planting. Fine ones such as mustard or fennel go in direct. Try and purchase plump pollinated seeds.If from the kitchen, the whole pulses should be freshly bought. There should be no chlorine in the water, so use water that has been stored awhile, such as from underground tanks. Prepare the planting surface – it should be perfectly flat to facilitate harvesting with a pair of scissor. I use a soil mix of sieved garden soil, mostly cocopeat plus fine jamuna sand, leaf or organic compost in equal measure. Scatter the seeds on the prepared surface, equally spaced – too close and air circulation will be reduced, leading to rot and fungus. Sprinkle lightly with cocopeat. Water well. Cover with newspapers or thin sheets of plywood. Depending on the gestation period, once the seeds have sprouted and the sprout is clearly visible, remove the cover and water very gently with a fine-nozzle watering can. 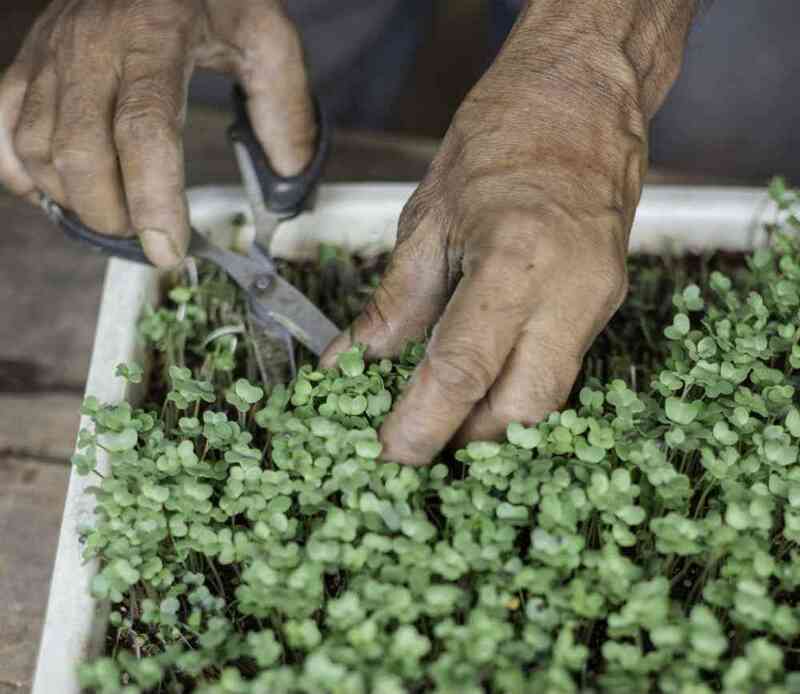 Microgreens require ample sunlight and grow quickly – harvest them at two, four or six leaf level. For only two leaves, a potting mix of just cocopeat will suffice. Harvest at least one inch above the soil and wash well.